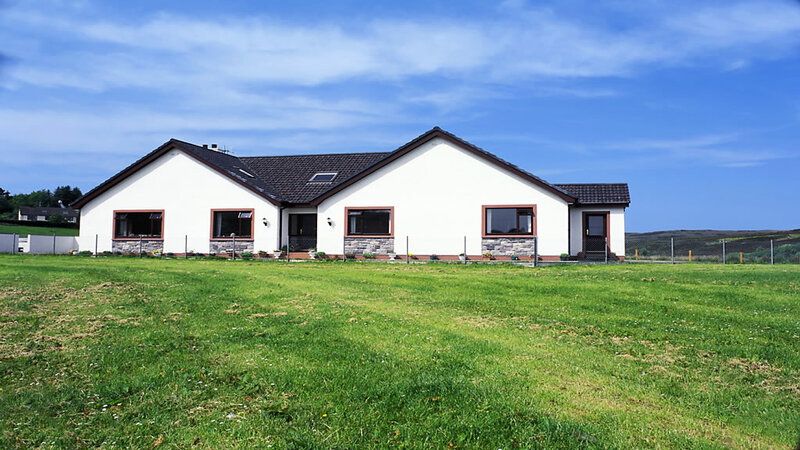 4 Star modern bungalow in Laide, 18 miles from Gairloch in Wester Ross. The Sheiling B&B is located in the north-west of Scotland on one of the many peninsulas just 40 miles south of Ullapool. The crofting village of Laide lies on the southern shore of Gruinard Bay which has sandy beaches within a few minutes walk. 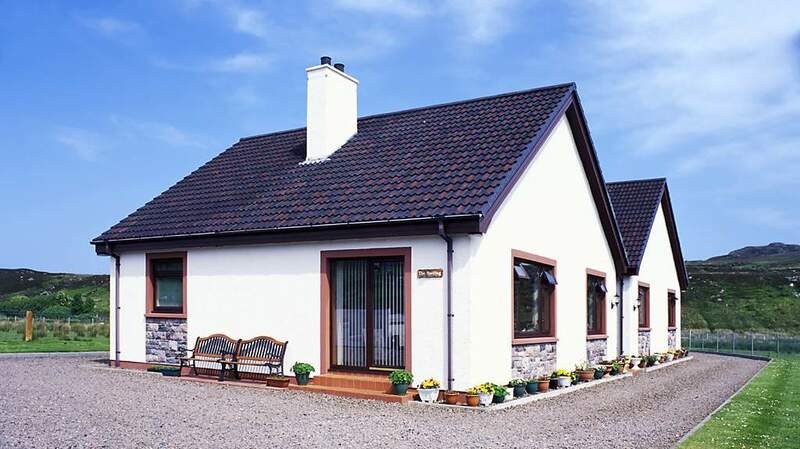 The Sheiling is a recently constructed bungalow which makes the very best of the majestic scenery of Wester Ross. Both ensuite rooms have large picture windows from where you can enjoy the views, whatever the weather. You can choose either a double or a twin room and also have the use of a guest lounge to relax in, which has panoramic views of Gruinard Bay. Breakfast is served in the Dining Room where you can also enjoy the scenic views. This part of Scotland is well known for providing visitors with all the best bits of Highland Scotland. There are an abundance of walks along the coast and mountains with wildlife spotting opportunities everywhere including otters, seals, deer and sea birds. Whale watching boat trips from Gairloch are popular. Organised sea and trout fishing trips and pony trekking are also nearby. The Sheiling is the ideal base when visiting the famous Inverewe Gardens. For booking Terms and Conditions please view The Sheiling web site.